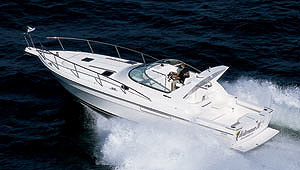 The Fortier 26 is an honest sea boat for fishing and cruising. 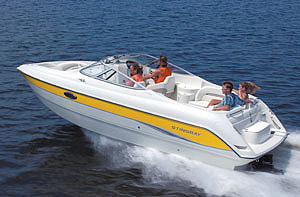 A proven design by Eldridge-McInnis, she is an outstanding fiberglass boat. The design and construction make her extremely comfortable in any weather. 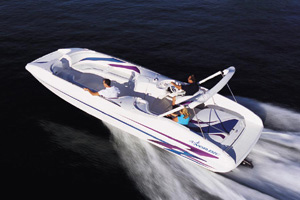 The full-molded keel and skeg offer exceptional stability and excellent protection for the shaft and rudder. Spray rails molded to the hull give the boat a soft, dry entry to the water. 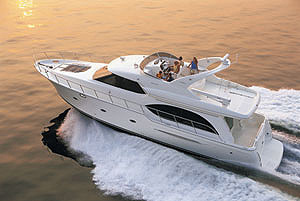 The excellence in design and quality of materials and workmanship make the Fortier 26 the stiffest hull in it's class. The 10' beam is unusual for a 26' downeast boat and you will enjoy the extra width. The hull has a full length keel to protect the under-body, shaft, prop, and rudder. Spray rails molded to the hull give the boat a soft, dry entry to the water. The excellence in design and quality of materials and workmanship make the Fortier 26 the stiffest hull in it's class. The large cockpit is self draining. 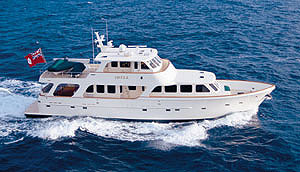 The helm deck area is protected by a teak windshield/ deck house and hard top with 6'2" headroom. This engine has been maintained by a very reputable yard for the last 15 years, including the boat's previous owner. What has needed to be done has been done.